The Food Shuttle teaches sustainable food production and nutritious meal preparation, promotes the establishment of gardens to increase healthy food access and develops sustainable community food system models. The Food Shuttle builds school gardens and grows healthy communities to improve health and food access of children and their parents. Students at partner schools have access to gardening and cooking instruction during the day and after school enrichment programs that get them excited about agriculture, eating healthy, and cooking and growing fresh produce. want to become a Growing School Gardens partner school? Growing Garden Classrooms is a series of workshops for educators on how to incorporate gardening concepts into Common Core competencies, and how to implement and sustain a school garden. These workshops are free and open to all educators, and all participants receive a resource binder complete with lesson plans, garden diagrams, and seeds! *Workshops listed at schools are limited to that school’s staff. 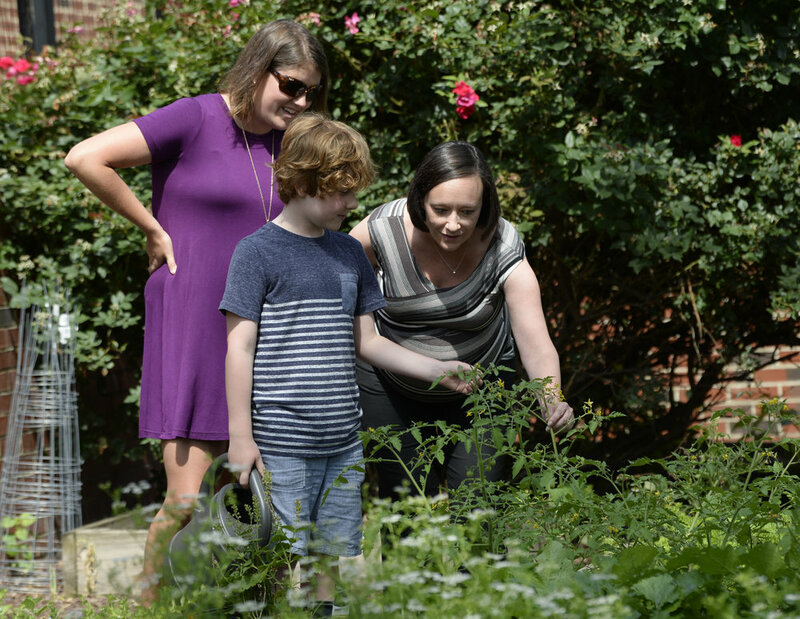 Workshops listed at Camden and Geer Street Learning Gardens are open to any educator. Sprouts Scouts is a skills-based program developed by FoodCorps and Life Lab that teaches students about cooking, gardening and nutrition education in a hands-on, fun and engaging way. Similar to Boy and Girl Scouts, Sprout Scouts is built on a series of adventures that develop new and complementary skills. The activities in each adventure link Common Core and other academic standards to food and health in fun and engaging ways. Seed to Supper is a five-week beginners gardening course, teaching individuals how to grow their own fruits and vegetables, build backyard gardens, and sustain their harvest. More than eighty individuals have graduated from Seed-to-Supper since it began in 2015 and many go on to be permanent community gardeners at the Camden Street Learning Garden. April 27th - June 1st from 10 a.m. - 12 p.m.
Find out more about how our Sprout Scouts (formally Junior Master Gardeners) is making a difference in the lives of kids at Hunter Elementary. Originally produced by WRAL for 2017 #BackPackBuddies Mediathon.